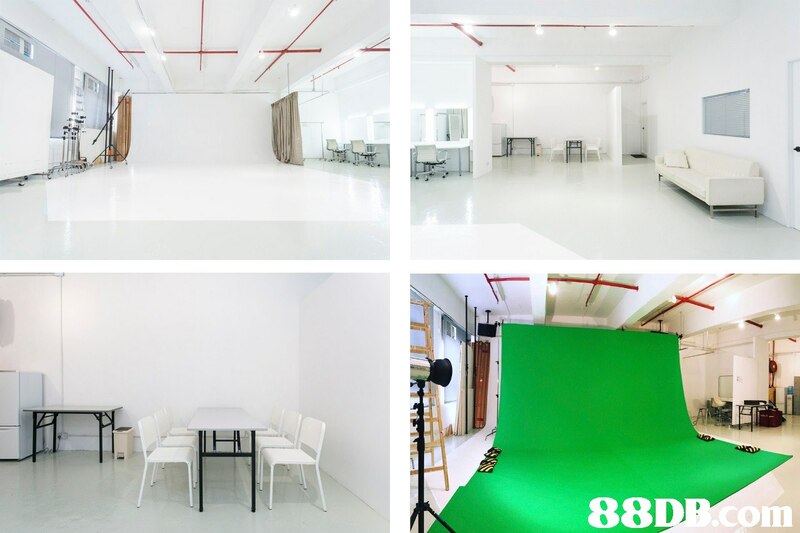 The studio has total 2,000 sq ft of space with 12.5 ft ceiling and large cyclorama area 22ftw X 18ftd. Other facilities include make-up station, fridge and free protected Wi-Fi. UNIT D, 14/F, BLOCK 2, WAH FUNG INDUSTRIAL CENTRE, 33-39 KWAI FUNG CRESCENT, KWAI FONG, N.T.